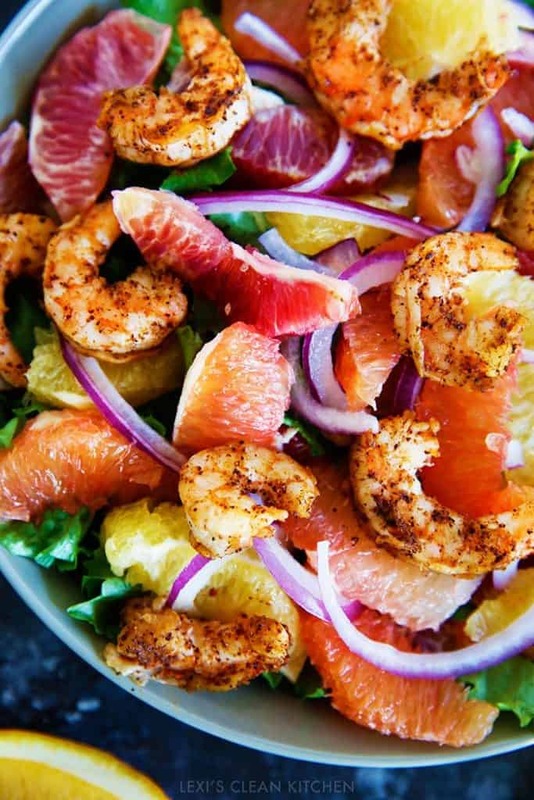 I am so excited about this Spicy Shrimp & Citrus Salad. I am in love with the beautiful colors of winter citrus along with all the bursts of flavor it gives. 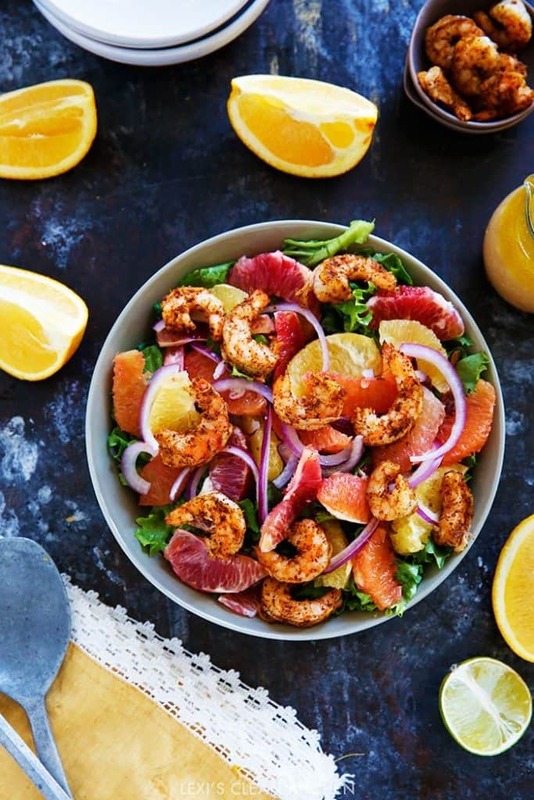 Lettuce + Spicy Zesty Shrimp + Citrus + Grapefruit Dressing = the greatest combination. 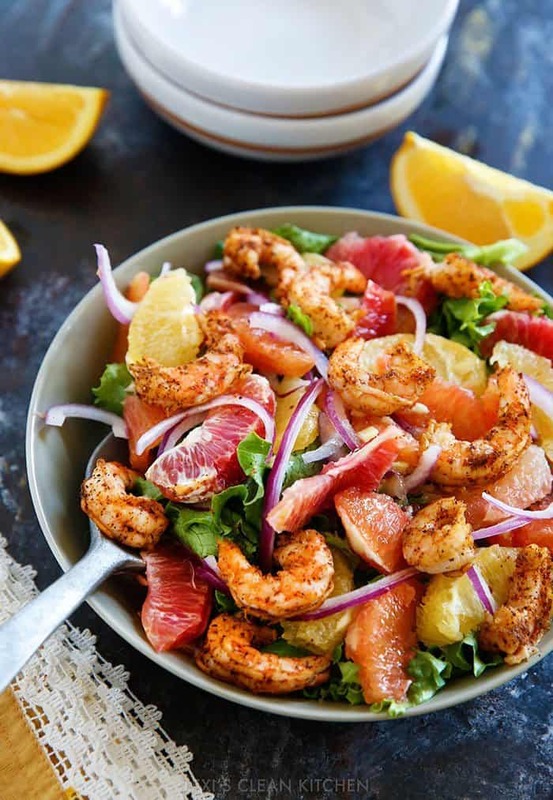 Everyone will love this easy shrimp salad recipe! Let’s make some beautiful Winter salads, my friends! 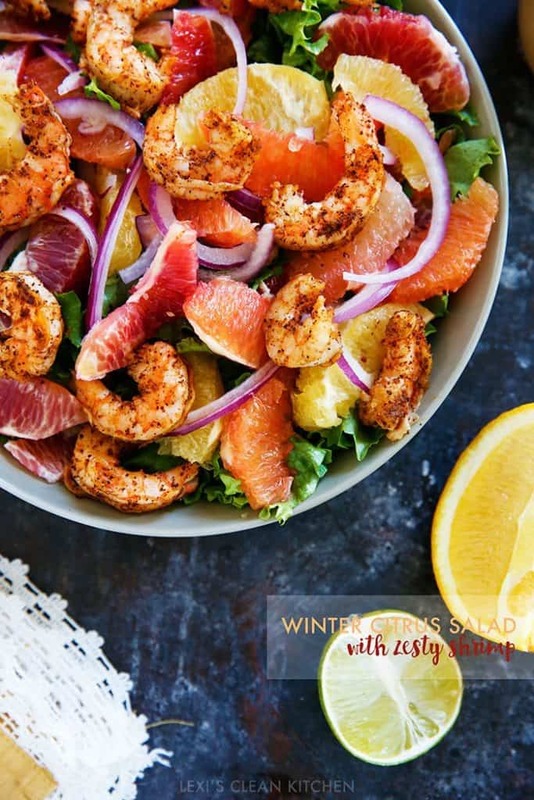 What is your favorite way to use Winter citrus? yum! 🙂 love the colors of this dish! 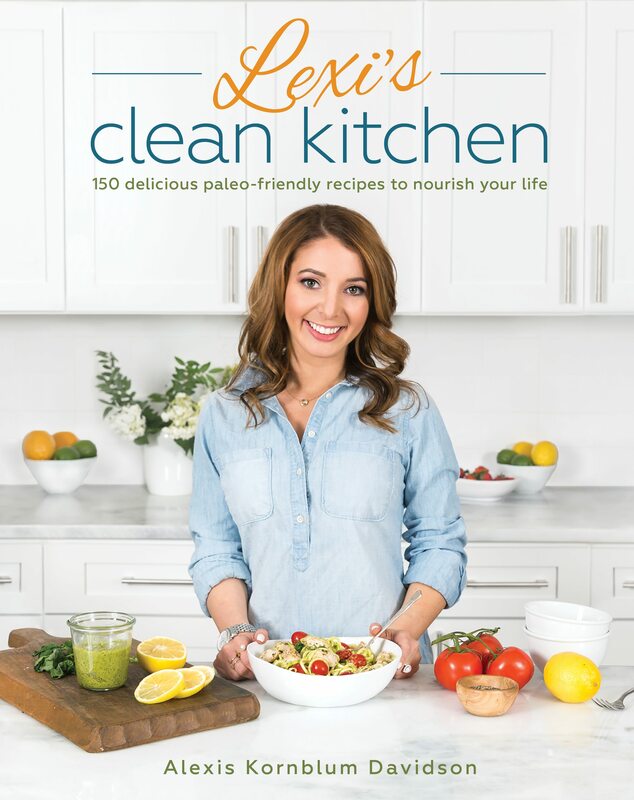 This recipe looks amazing…stopping at the grocery on the way home to get the ingredients to make this. I eat clean and seems sometimes like I always eat the same things! Looking forward to branching out! 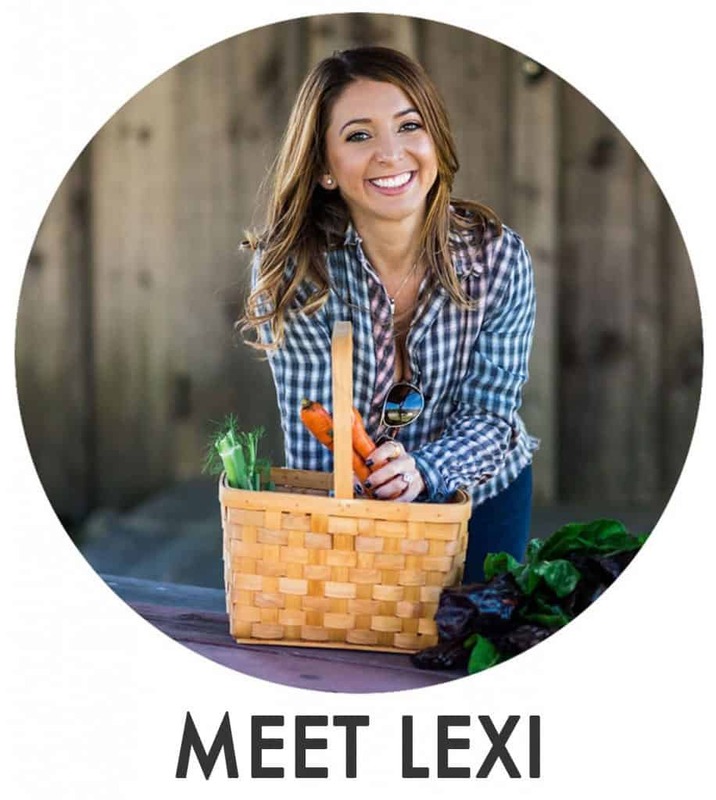 This looks so great, Lexi! How refreshing to see such a simple but delicious recipe!! Those shrimp look delicious and who doesn’t love homemade dressing….yum!! This looks delicious. But I cannot eat grapefruit because of my cholesterol medicine. 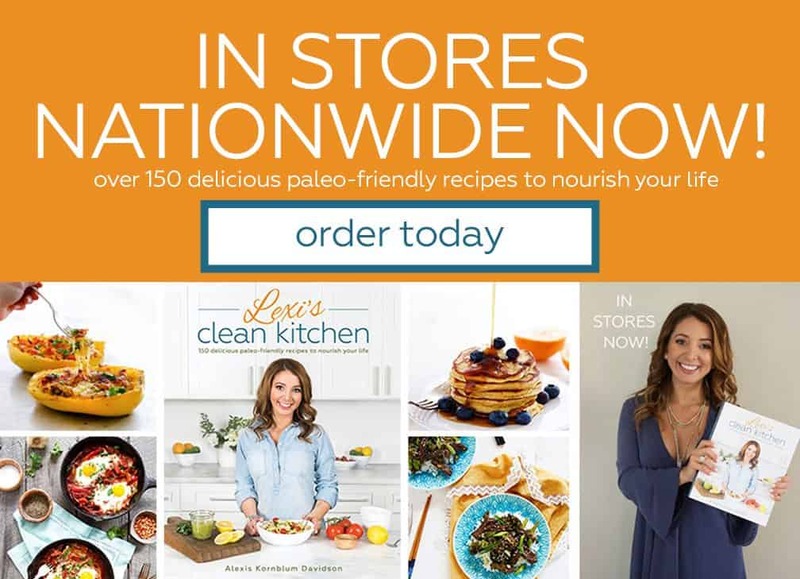 Most cholesterol medications prohibit the user from eating grapefruit do you have a recommendation for a substitute for the grapefruit? Yeah! Blood oranges, cara cara oranges, etc.